St Albans Judo Club is a female friendly judo club and caters for all levels of fitness and ability. Beginners are welcome, no experience is needed! As a non-profit organization we strive to be the best at serving our members while keeping fees low and services high. The St Albans Judo Club operates in partnership with the City of Brinbank. The Chief Instructor is Ingrid Wilby, a 5th Dan Black Belt with national and international credentials. 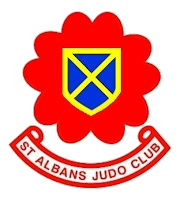 We encourage you to explore this website to learn more about St Albans Judo Club.